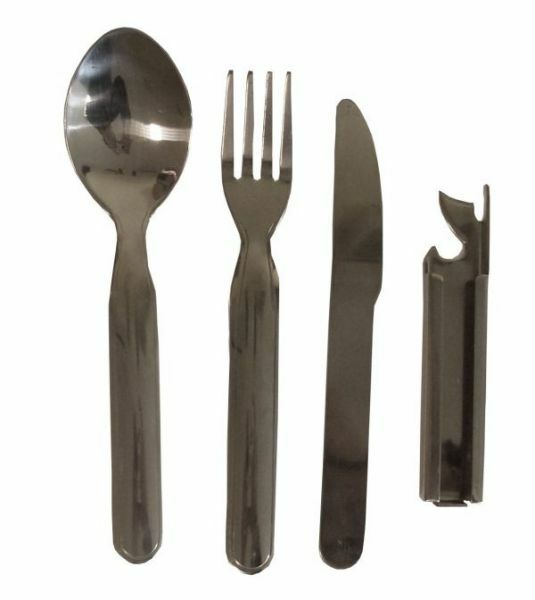 Military cutlery set used in the Hungarian Army. Colour: silver, material: stainless steel. 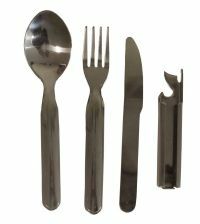 The set consists of a knife, a fork, a spoon, a can opener and a bottle opener that can be snapped together. It is ideal for camping and travelling.